Providing you the best range of jumbo bagging systems with effective & timely delivery. Midas Autosoft provides the range of Jumbo Bag Filling Systems is a perfect solution for carrying out all such laborious operations and is appropriate for filling and emptying the jumbo bags. The handling of bulk bags is a major problem faced by process plants and godown. 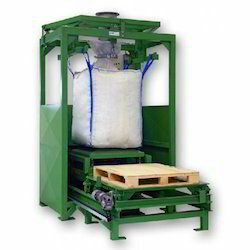 Looking for Bagging System ?